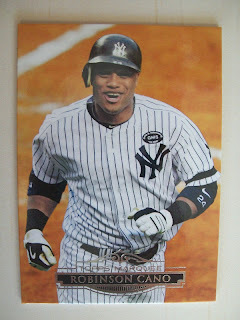 Topps Marquee made its debut this week. The 100-card set is not for casual collectors with just four packs in each hobby box. But it seems as though eBay would be the place for fans to pick up the cards they would like. Early opinion: I find this set intriguing. The base cards remind of Stadium Club with the flushed out picture and no border around it. 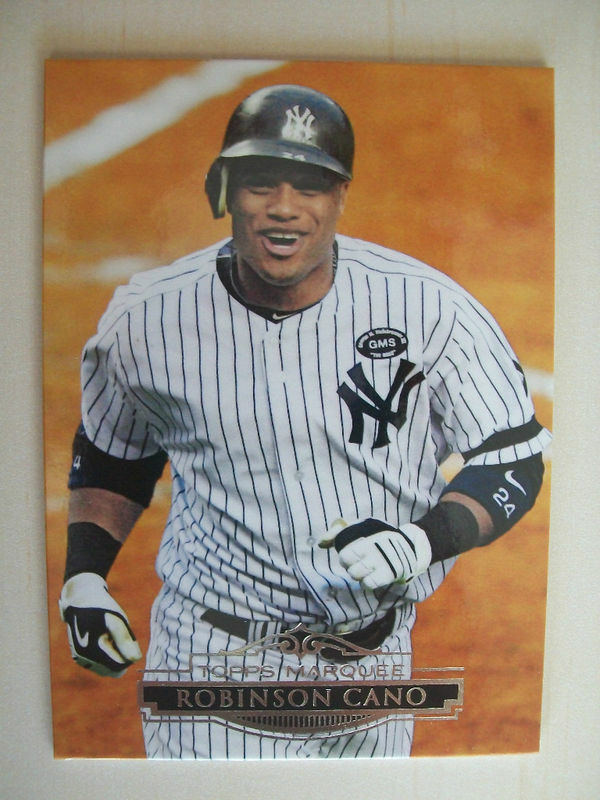 I could also say it reminds me of Upper Deck. These cards come in parallels including bronze and gold. 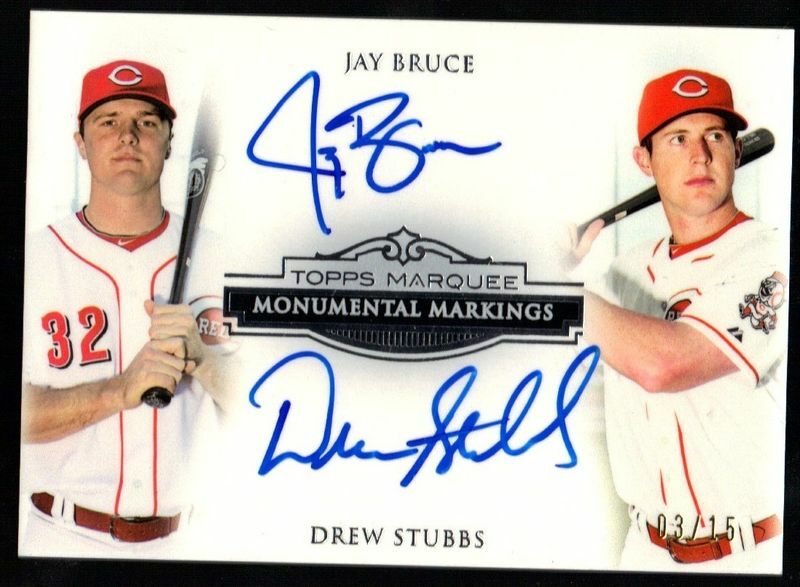 This dual Cincinnati Reds autograph seems to be one of the popular items on eBay right now. Topps found a new-ish way to use jumbo jersey swatches. 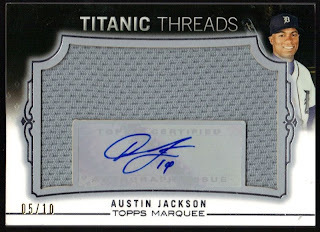 Call them Titanic Threads. And if you think the Finest pictures made you think Topps got rid of those ugly silver sticker foils ... well, they're making a comeback. But for the Titanic Threads cards with no autos - the big grey patches just don't do it for me. If I spent that much for a rag, well, I wouldn't be happy. 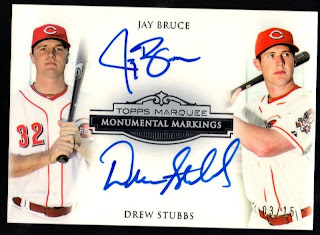 Some of the rarer cards in the set include what look to be signed bat relics and quad jersey cards. This card from Ultima -- uh, I mean Gametime Mementos insert is nice looking. 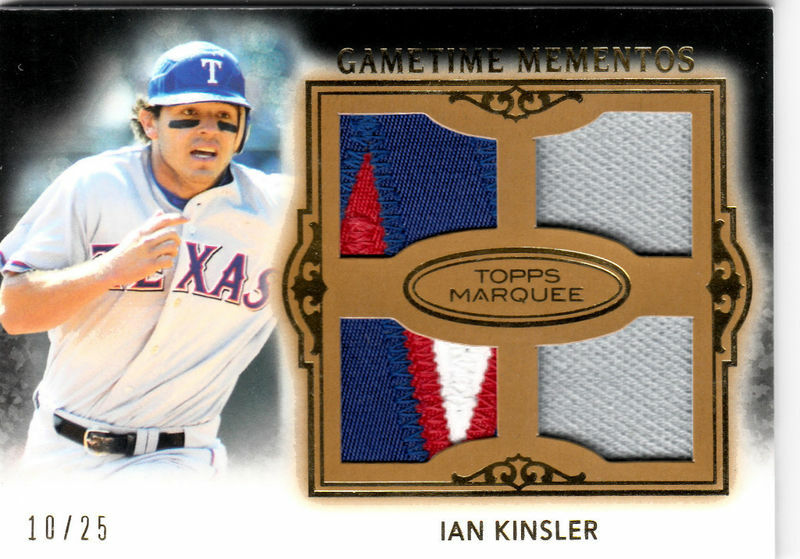 I think the design is a step up for Topps on its high-end products. My only concern is that most of the designs are just not original - even to their own company. 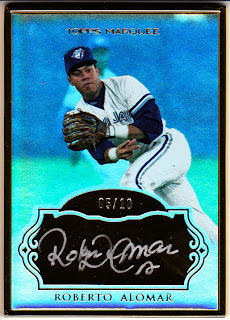 It's great they are moving in a better direction with its high-end, I would just like to see some originality and less Robbie Alomar. Here are some other interesting auction links. The base design looks nice... too bad they wasted it on a set that no one will collect. This is DEFinitely a set for buying singles from. It's way too pricey for being hit or miss, with ALOT of misses.